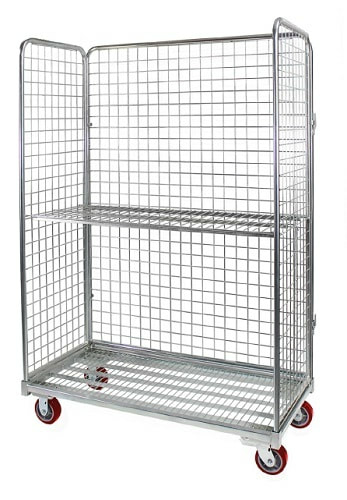 Industrial rolling cart is designed for display and picking operation. The EVRC-11 Rolling Cart was designed for display and picking operation. The carts maneuver easily on 2 rigid and 2 swivel 5 x 2 casters with our high quality DURATOUGH Hi-Tech Polyurethane on Polyolefin Wheel.